I Want to Work Abroad for Months! Go to ...Blog- I Want to Work Abroad for Months!TestimonialsPlacementLoginFree Online AssessmentContact Us Go to ...HomeAbout UsPackage- India Tour Packages- - Andaman Tour Packages- - Corbet Tour Packages- - Goa Tour Packages- - Kashmir Tour Packages- - Kerala Tour Packages- - Ladakh- - Manali- - Shimla- International Tour Packages- - Bali Tour Packages- - Dubai- - Hong Kong & Macau- - Maldives- - Mauritius- - Thailand- - Tashkent- - Turkey- - SingaporeCorporate TravelImmigrate To- Canada- Denmark- Gulf- Poland- Singapore- UK- GermanySettlement Visa- Canada- Denmark- Gulf- Poland- Singapore- UK- GermanyVisa Search- Business Immigration Visa- Family Visa- Green Card- Student Visa- Skilled Workers Visa- Visitor Visa- Work Permit Visa- Get Citizenship by the way of InvestmentArticles- I Want to Work Abroad for Months! 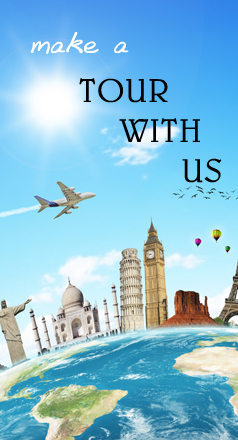 United Abroad is filled with a lot of experience and with lot of hard work. United abroad has mastered their field. The business was started two years back and even when the competition was too high United abroad has made a golden entry in this field. It has not only done a tremendous job to fill the expectations of the client but has also gone beyond to provide service providers. The best part about United Abroad is its team. Team is filled with both experience and freshers who have knowledge and enthusiasm. The staff is dedicated and resolves all the query of candidate. The best part about United Abroad is that they have courage to say NO. No to people who are not eligible. The staff is so determined to take the company to the next level and they have gone ways far to achieve it. Team has delivered result through utmost knowledge and right counselings. United Abroad is one of the growing study overseas consultancies in India, with the guidance of professional counsellors, team members to decide the best course and destination of country for your requirements choice of subjects and curriculum design will depend on future academic expectations. United abroad also provides abroad education in UK, USA, CAN, AUS, NZ. United Abroad also provides services like immigration and coaching.United Abroad has been a face in the crowd in overseas education with distinguished services and best results. Our companies also deals domestic and international tour and travel agency in India. Book your adventure tour & holiday packages in India at best rate.choose your holiday destination in domestic and international places. United abroad also provides international tour in Singapore, Bali,Dubai,Turkey,Mauritius etc anf domestic packages tour in Goa,Andaman,Kerala,Shimla,Manali,Ladakh,Kashmir etc.United Abroad also provides services like India tour and International tour packages .United Abroad has been a face in the crowd in travel and holidays packages with distinguished services and best discount rates.